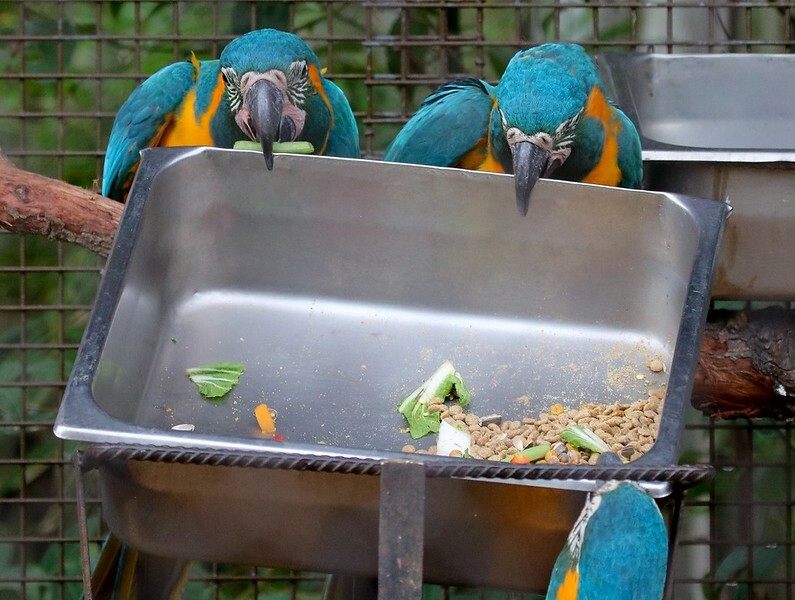 Undeterred by the handle failure, the Macaws took their chaos metality to the food tray. Using teamwork they managed to lift the heavy tray out of its cradle and tossed it over the side. Then they bobbed and weaved their heads in what may be the Macaw version of a high five. Both food bowls had prior dented corners. These colorful clowns have done this before.